Love conquers all it has often been said, and new footage of the elusive snow leopard in the wild seems to offer hard proof. The big cat was caught by a video trap in the the wilds of its native habitat of southern Siberia, issuing a mating call many thought to be impossible. The film captured seems to disprove conventional wisdom, which suggests that members of the endangered species cannot roar due to the physiology of their throat. Snow leopards are shy, elusive cats known for their solitary nature. The black and white footage captures a rare glimpse of the animal - one of perhaps only 4,000 or so left in the wild and rugged mountains of Central Asia and the southern reaches of Siberia. The endangered animals make sounds similar to those made by other large cats - including a purr, mew, hiss, growl, moan, and yowl - but that snow leopards cannot roar due to the physiology of their throat, and instead make a non-aggressive puffing sound called a 'chuff'. But the video seems to defy conventional wisdom and captures a sound that seems much more than a chuff, reports The Siberian Times. 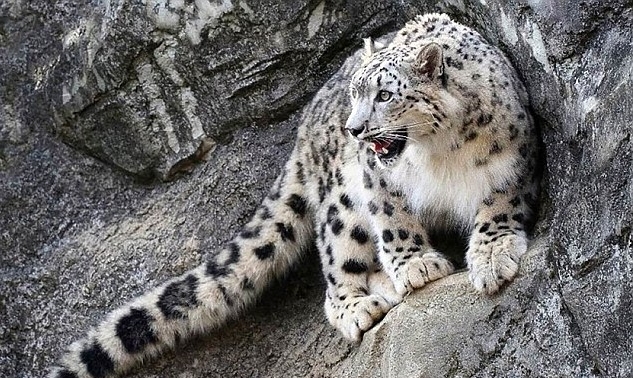 Dmitry Medvedev, president of the Irklutsk-based Snow Leopard Foundation, said this mating season cry debunks the theory that the big cat cannot roar. 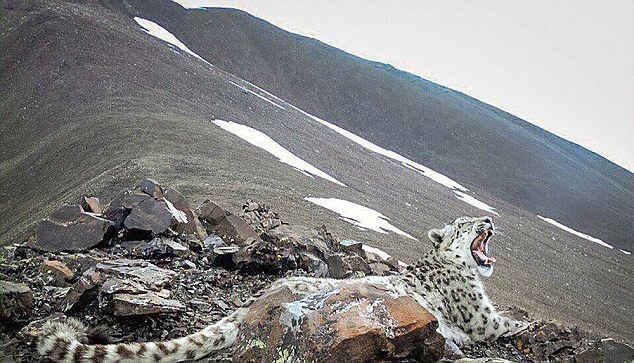 Responses to "Snow Leopards can roar: Rare footage reveals the amazing love call of the big cat"